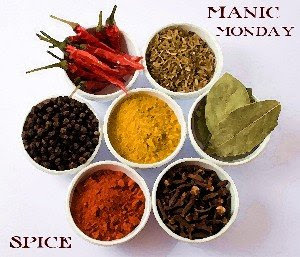 Spice trade is a commercial activity of ancient origin which involves the merchandising of spices and herbs. 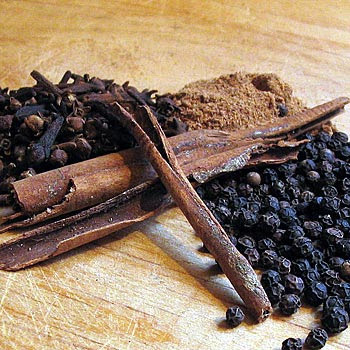 Pepper, along with other spices such as cinnamon, cloves and nutmeg, was such a hot commodity five centuries ago that it drove nations to sail across vast oceans searching for new routes to the spice-rich Orient. Spices didn't just make merchants rich across the globe — it established vast empires, revealed entire continents to Europeans and tipped the balance of world power. If the modern age has a definitive beginning, it was sparked by the spice trade, some historians have argued. Spices were an important component of ancient commerce well before the 15th-century, but were monopolized for centuries by Middle Eastern and North African middlemen who guarded the Asian provenance of their valuable sources closely and became fabulously wealthy for it. Back then, the colorful grains were used for flavoring food, but also for such tasks as making perfume, embalming the dead, preserving meat and sprucing up salve recipes in traditional medicine. because of the sea trading power that they gained during and after the Black Plague. 1453 - The global spice trade underwent an upheaval in 1453, when Constantinople fell to the Turks, and the time-honored overland spice routes between Asia and Europe were severed. 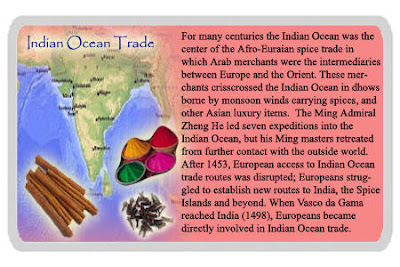 The prospect of establishing a spice trade via an ocean route opened up new economic ...The global spice trade underwent an upheaval in 1453, when Constantinople fell to the Turks, and the time-honored overland spice routes between Asia and Europe were severed. The prospect of establishing a spice trade via an ocean route opened up new economic possibilities for any European nation able to master the seas. For those willing to assume the risks, the rewards of an oceanic spice trade, combined with control over the worlds economy, were irresistible. 1510 - Portuguese arrived in India that changed the fate of Goa. They came with the intention of trade but ended up setting a colony here. They gradually succeeded and seized total control of spice trade from the European powers. Later, in 1510, Yusuf Adil Shah, the ...Portuguese arrived in India that changed the fate of Goa. They came with the intention of trade but ended up setting a colony here. They gradually succeeded and seized total control of spice trade from the European powers. Later, in 1510, Yusuf Adil Shah, the Bijapur king lost to the Portuguese admiral Afonso de Albuquerque of a local sovereign. This contributed to the permanent establishment and settlement of the Portuguese in Velha Goa. Some great information there, even though I'm a spicelss, plain eater myself. Being Dutch Indonesian, you KNOW spices have an important role in my life! Wow. That's a lot of spice detail. I'm just basically a salt & pepper guy, with a bit of garlic thrown in.